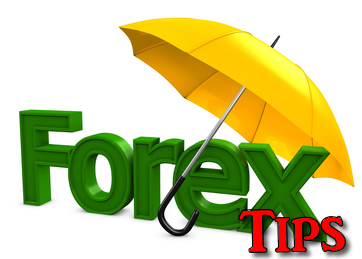 Looking for forex tips to help avoid disasters and maximize your profits? You’ve come to the right place. I’ve received so many questions regarding this and have decided to put it all together here so everyone has access to it. 1. Know yourself: Before you put any money in the forex market it is important to first recognize your financial goals and your risk tolerance so that you are making the most of your capital assets without taking any unnecessary risks. 2. Have clear goals: Everybody has different goals when they enter the forex market. Some people plan to make this their main source of income whereas others are looking for a way to supplement their income. What are you looking for? The answers to these questions will help you gain a clearer vision of your goals and develop a forex strategy to meet those goals. 3. Choose your broker carefully: The importance of choosing the right broker cannot be overemphasized. Different brokers have different trading styles that fit different trader profiles. Make sure the broker you choose offers what you are looking for and that you are comfortable with their trading style and the trading platform that you will be using. 4. Start small & increase organically: One of the forex trading tips that I think is very important is to start small. Start trading with small sums and low leverages. Add to your account through organic gains as you generate profits. Avoid putting in more money to increase your deposit. 6. Don’t trade against the markets: When you are new to the forex market it is far better to trade with the trends. Going against the markets can be very stressful and is best left for those who have more financial resources and enough experience to wait it out. 7. In the beginning, focus on a single currency pair: When you are just starting out, stick with trading the currency of your nation or choose the most widely traded pair of currencies. Think about expanding only after you’ve bettered your skills and understanding. 8. Study your failures and your victories: Analyzing your trades to see what you did wrong or what you did right will help you know what works and what doesn’t. A careful study of your past experiences will help you identify what you should and shouldn’t do in future trades. 9. Don’t Give Up: It is almost impossible to become a trading genius in a week or even two weeks. Mastering forex trading takes time. Give it the time it needs. Learn from your experiences and your mistakes. As you learn the tricks of the trade, you will become more proficient in it. Don’t give up too soon. If you would like some more forex tips to help you get onto the path to success, contact me. If you would like to share some of you own forex tips that have worked for you do let me know. Also, check back often as I’ll be adding to this page as and when good tips come to my attention.